Check out the star presence at various city pandals during Janmashtami. 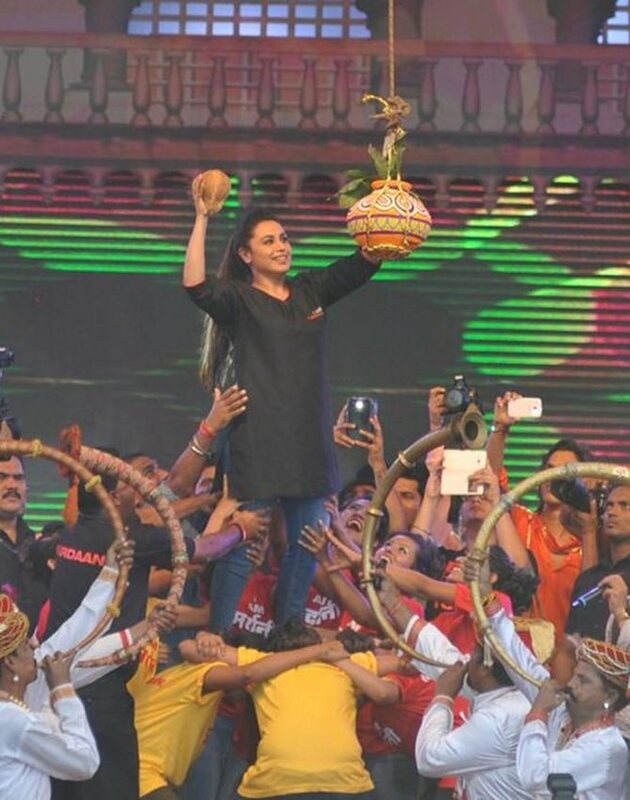 Among several Bollywood stars gracing the festive occasion across the city, was Rani Mukerji in her fiery Mardaani avatar. Dressed in a black kurta, denims and black boots, the actress was quite a sight on stage as she addressed her fans and proceeded to break the ceremonial handi in Worli, South Mumbai. 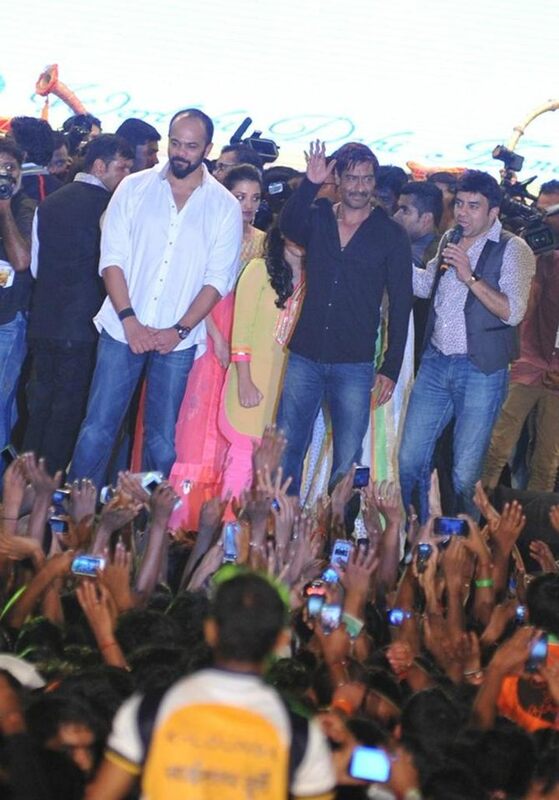 The hit Singham Returns duo Rohit Shetty and Ajay Devgn greet their fans and devotees at the Worli pandal. 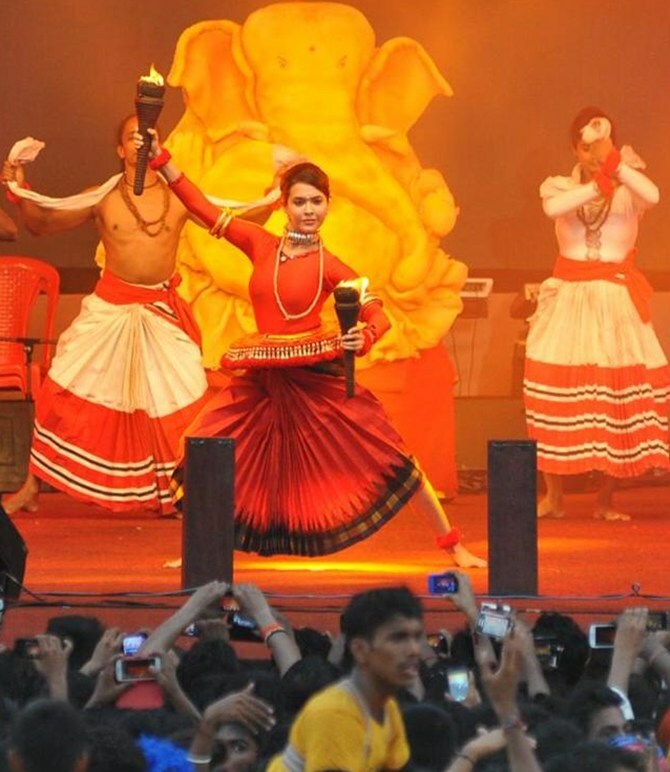 Actress-dancer Isha Sharvani put up a magnificent performance at the Worli festivities. 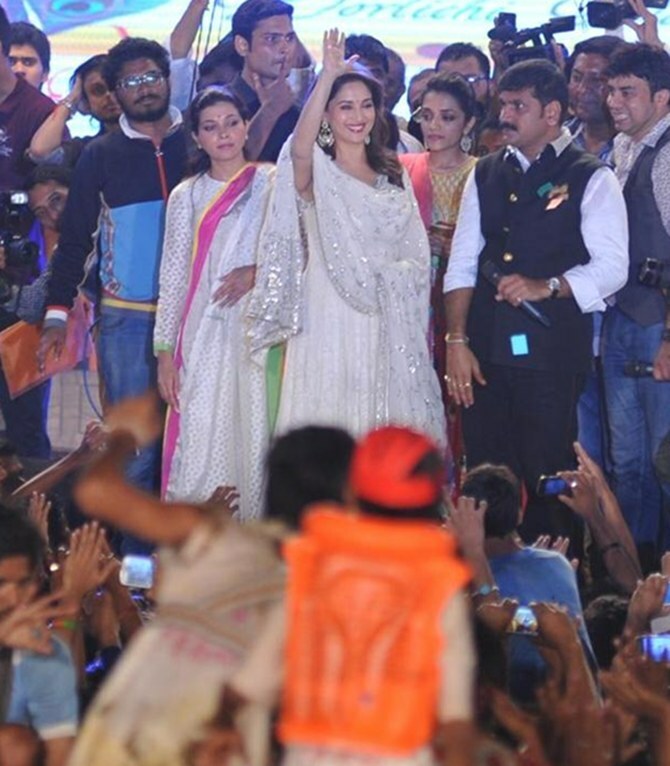 Madhuri Dixit lights up the festive place with her famous smile as she arrives in a majestic white outfit. A dapper-looking Anil Kapoor raises the thumbs-up sign for the assembled crowd. 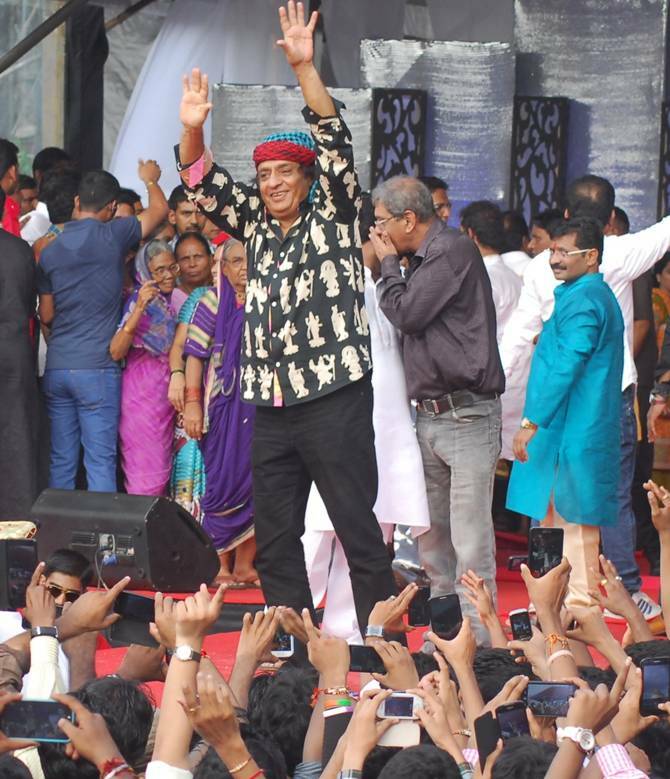 Actors Chunkey Pandey and Bipasha Basu put their Bollywood moves to good use at MNS MLA Ram Kadam's Gokulashtami pandal in Ghatkoper, in suburban Mumbai. 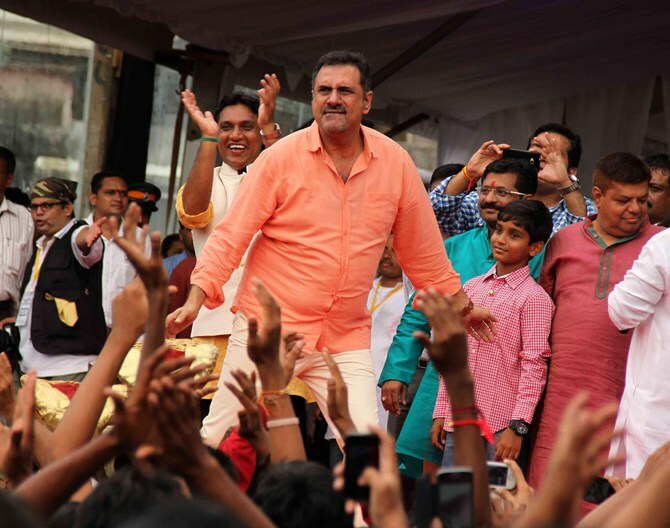 Happy New Year actor Boman Irani was in his element too, as he interacted with the gathered crowd in Ghatkoper. 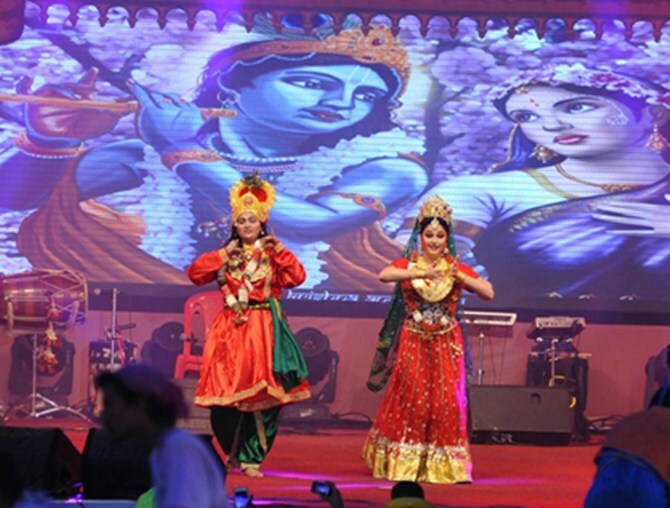 Grand Masti actress Kainaat Arora was the star performer at the Ghatkoper pandal. 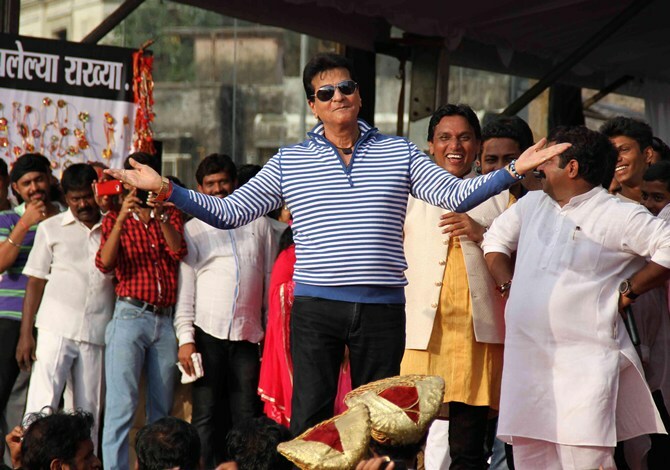 Veteran actor Jeetendra makes an entry in his inimitable style. 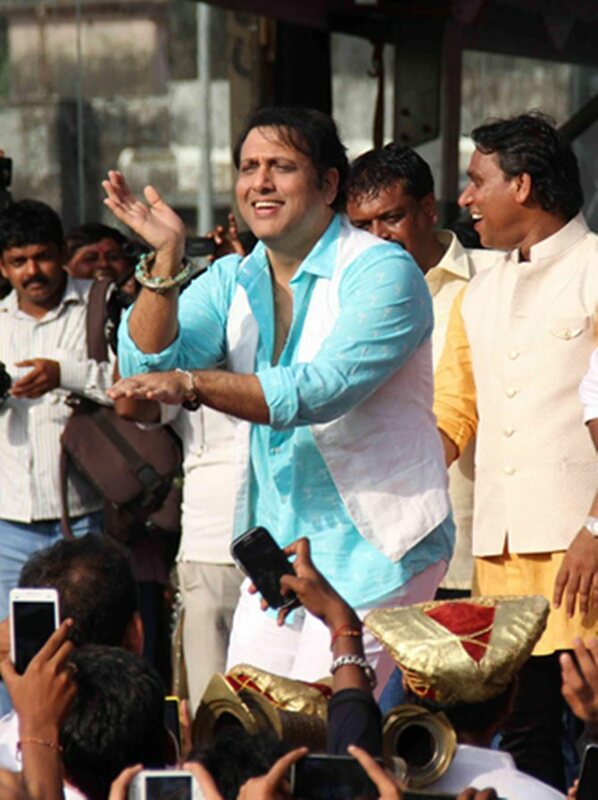 Dancing champ Govinda was a treat to watch, as is evidenced by this picture of him at the Ghatkoper pandal. Another star performer of the night, actress Gracy Singh assumed the role of Radha on stage. Actress Esha Koppikar, who recently welcomed a baby girl with hotelier husband Timmy Narang, was at the Kadam pandal. Yesteryear onscreen baddie Ranjit was spotted in a shirt that had various Hindu deities printed on it. 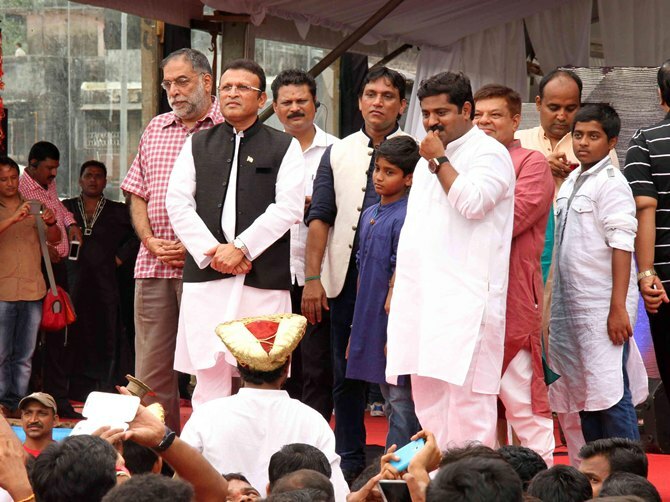 Actor and television show host Annu Kapoor was caught in a sombre mood. 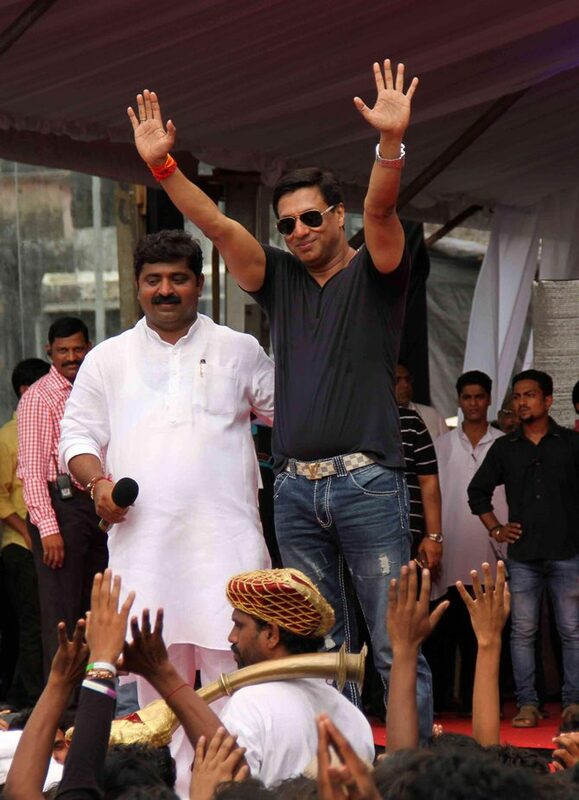 Filmmaker Madhur Bhandarkar waves to fans.